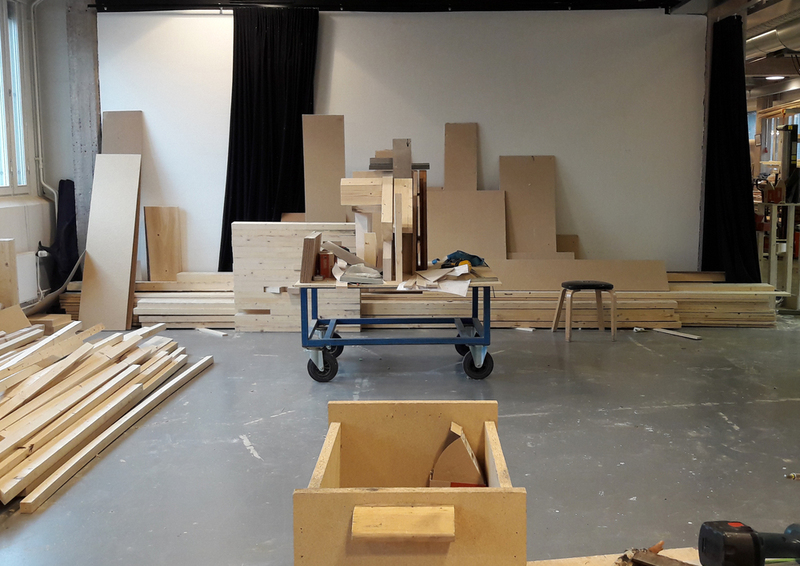 As material is beginning to arrive to the Arkkitehtuuri Paja at Aalto Campus in Otaniemi, preparations have begun to be ready to receive our precious building materials and finally begin the construction of the Kokoon modules. 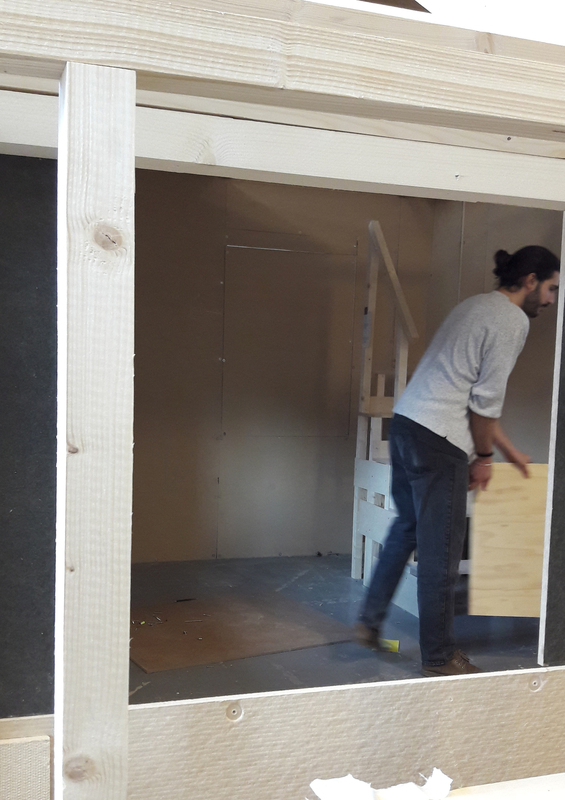 First thing to go was our full scale mock-up module, an invaluable tool for testing and designing various aspects of our project. 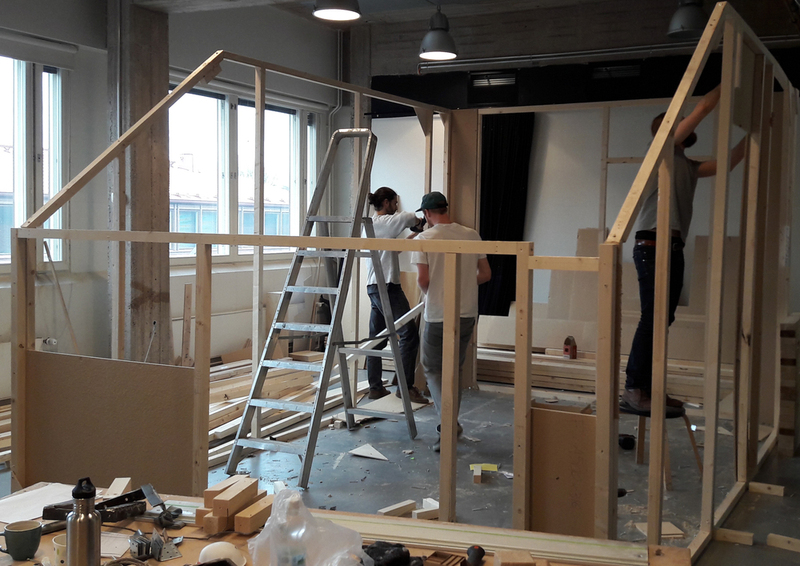 Seeing the solutions at 1:1, be it simplified and in an approximate material, gives a comprehensive understanding of spatial qualities, light and structural decisions that no number of drawings can provide! 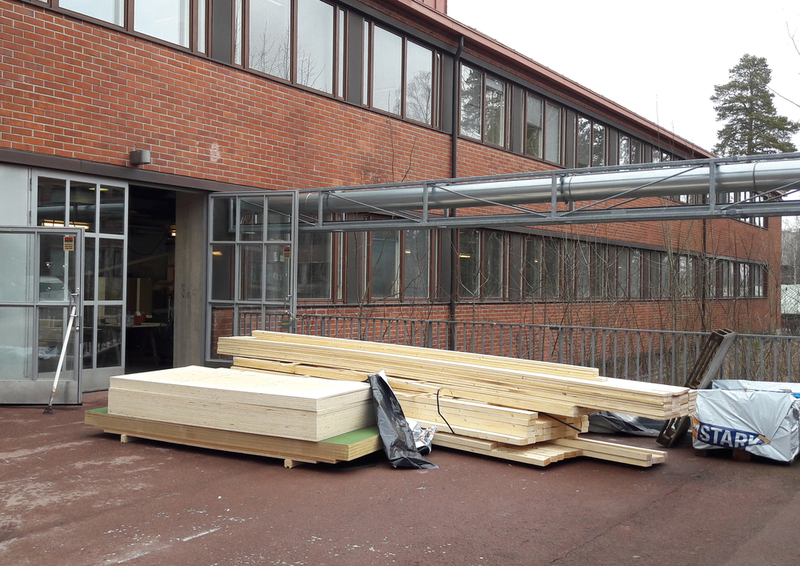 The mock-up makes way for the space where we will begin to build the floor plates and other parts of the modules before they will be lifted out in to the Paja courtyard for further assembly.